Crowns for bride and groom are an important part of a Romanian Orthodox wedding. Romania is a relatively small country in southeastern Europe. The population is roughly 22 million, and although there are many ethnic groups represented in that number, 86 percent of the population belongs to the Romanian Orthodox Church, according to "The World Factbook" published by the CIA. Tradition is a high priority for Romanian Orthodox Church members, and so keeping long-standing wedding practices alive is very important to the faith. In a Romanian Orthodox wedding, the buildup to the event is very similar to most western ceremonies. The bride and her attendants meet at the bride’s home prior to the event while the groom and his men wait at the church. A father or other important male in the bride’s life walks her down the aisle. However, the Romanian Orthodox church does not have instruments during services, and at weddings, the bride walks down the aisle in complete silence. When the ceremony begins, the priest chants or sings instead of speaking. 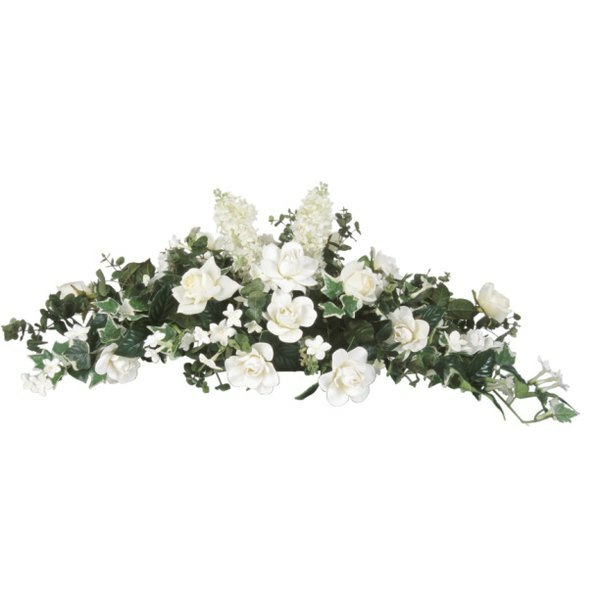 At the beginning of the wedding, the priest places crowns made of metal or flowers on the heads of both the bride and groom. These crowns symbolize two different ideas. The first is that they have assumed great responsibility and authority as a formal, official couple. The second idea is that of martyrdom, the crowns symbolizing the crown of thorns worn by Jesus Christ at his crucifixion. This is to remind the bride and groom that marriage involves a great amount of sacrifice. During a Romanian Orthodox wedding ceremony, the priest gives the bride and groom three bites each of a sweet honey cracker. A drink of wine follows this practice for both the bride and groom. This is a communion of sorts, and it represents the fruitful life they are about to embark upon together. At the conclusion of the ceremony, the priest binds the hands of the bride and groom together with ribbon. This is to remind the couple they are one in the eyes of God and they will share all of their happiness and hard times with one another for the rest of their lives. The entire wedding party then circles the altar three times, a tradition symbolizing the couple’s commitment to their new marriage and the Holy Trinity as Christians. What Is the Meaning of Jordan Almonds at Weddings?